Nicholas Stedman’s ‘After Deep Blue’ | Abler. Nicholas Stedman makes Machines for Social Circumstances. This one is After Deep Blue, an affective robot designed to respond to—even seem to seek out—human touch. 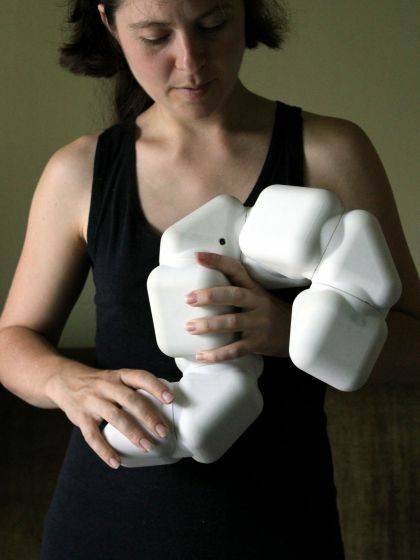 “ADB is a modular robot designed for tactile interactions with people. It is composed of a chain of prism-shaped robotic modules. 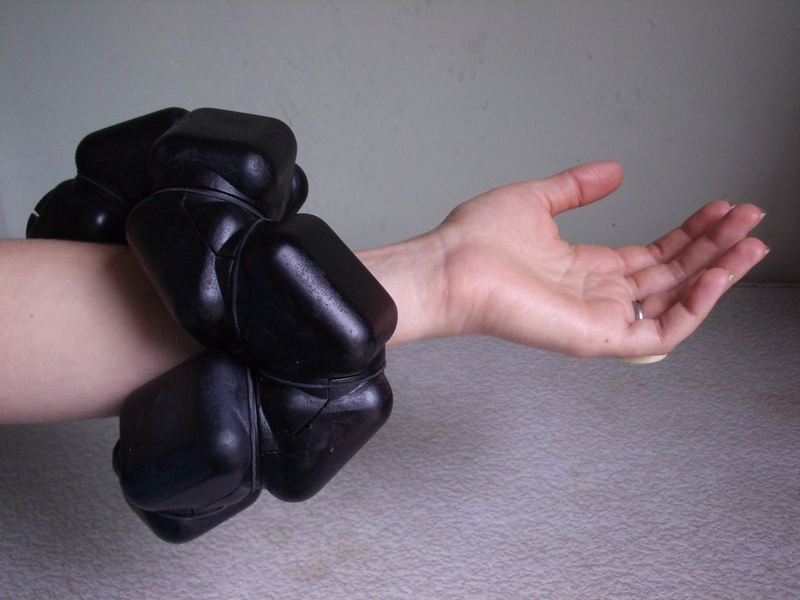 Through the modules’ coordinated behavior, the robot writhes, wriggles and twists in response to the presence of skin and force. “The robot is animated only when actively engaged by a person, otherwise it is at rest. Stroking, rubbing or grasping ADB results in it pushing back, retreating or occasionally grasping onto a body part, depending on the combination of stimulus. Totally moving, literally and figuratively. Thanks Sara, again and again. Love ablerism!! !